Singer, songwriter and actor Rahsaan Patterson’s career started at the age of 10 in the role of “the Kid” on the long-running TV show Kids Incorporated, along with other future stars Fergie, Martika, and Shanice. His critically acclaimed debut album on MCA sparked a passionate following over a series of excellent albums, Urban AC radio hits, touring and contributions to ?lm soundtracks such as Brown Sugarand Steve Harvey’s “Sign of Things to Come” compilation. 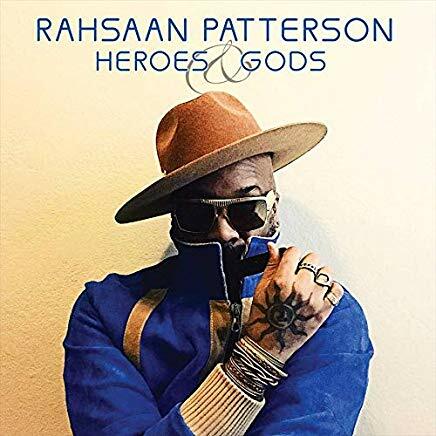 Heroes & Godsis Rahsaan’s highly-anticipated new studio album; it marks a return to his classic “neo-soul” sound his fans crave. Standout tracks include infectious mid-tempo “Catch Me When I Fall,” the classic soul balladry of “Sent From Heaven” and the innovative title track. IN STOCK – 17/5/19 – Pre-Order your copy now for delivery as soon as they arrive.